$ 350 - 48" diameter x 1/2" thickness clear glass top. 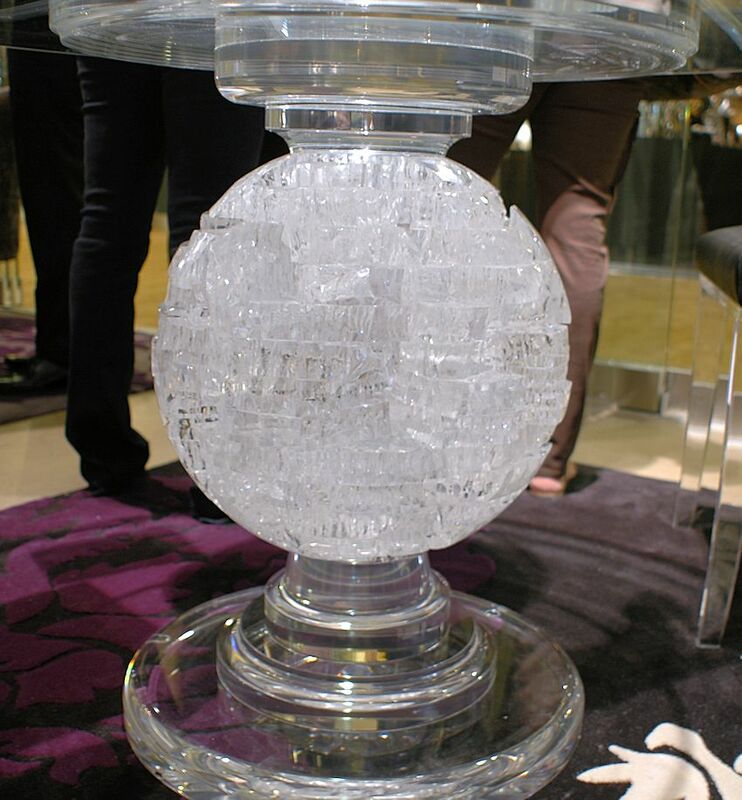 The table base is custom made of expensive aircraft-grade acrylic that never yellows. Can be ordered with 42" or 48" diameter glass top. 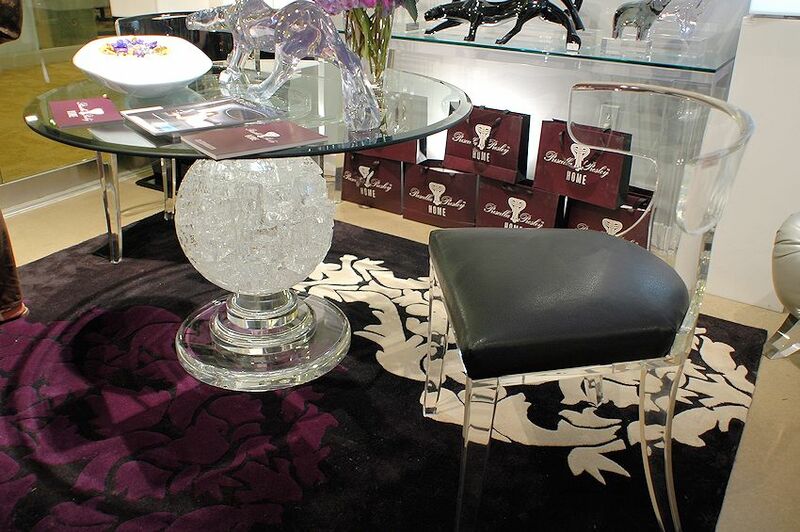 Shown with Verona acrylic chair - $ 1,950 ea. Stunning design from LA, California. Sphere offers a stunning acrylic base that looks like large crystals, available only in clear acrylic.